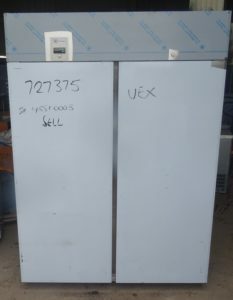 We have second hand commercial fridges for sale which will provide an excellent solution to kitchens of all sizes, and as we can supply and install the equipment as desired, you won't have to handle any of the tricky stuff if you don't want to. 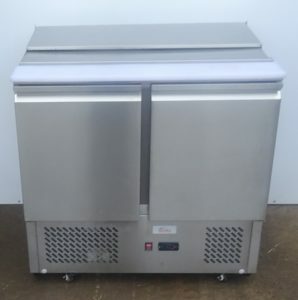 We offer premium brand fridges, commercial fridge freezers and blast chillers, and are specialists in modular blast chillers and walk in fridges & freezers, which are often prohibitively expensive when new. 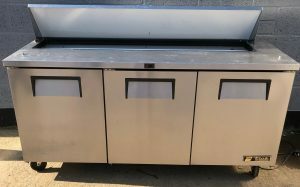 Precision’s durable all stainless steel cabinets have been designed to provide commercial caterers with reliable, energy and cost efficient refrigerated storage solutions. 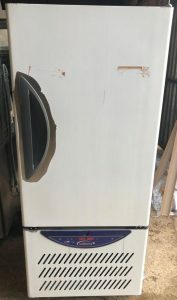 B Grade new, immaculate, untouched and great value for money. 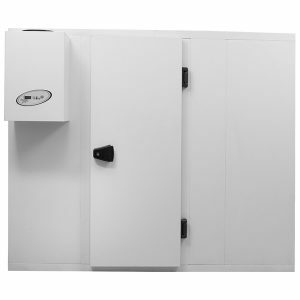 200 Litres of storage space. 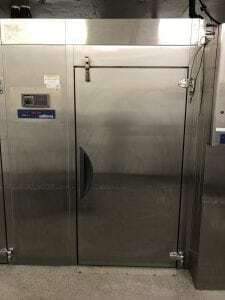 Blown chilled air for safe food storage. 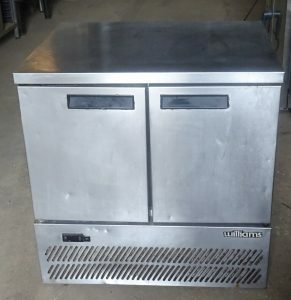 This will be the ideal bench fridge for the dessert chef. With a high rear up-stand to prevent spillages down the back. 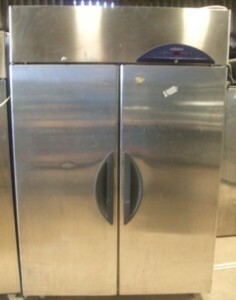 IN excellent condition, serviced and maintained immaculately. Offering a huge 5 door capacity. 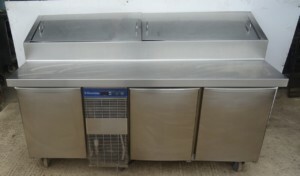 High performance, spacious 5 door preparation counter with gastronorm storage. 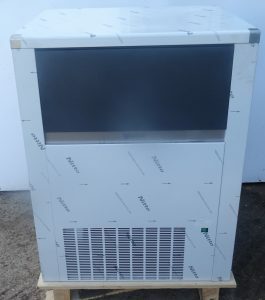 WILLIAMS WBC40 Blast Chiller – brand new unused! Immaculate, new and unused. 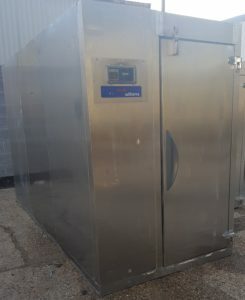 We are fortunate to take receipt of this well known very reliable UK manufactured blast chiller from Williams. 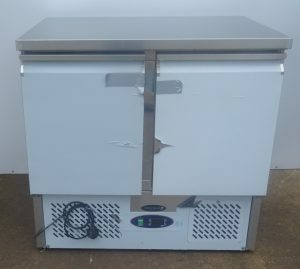 Williams’ Blast Chiller and Blast Freezer (WBCF) range is designed to suit catering operations large and small, offering a capacity of 200kg. 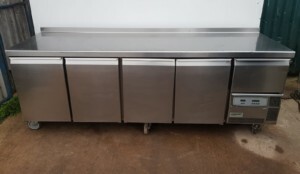 A high-quality commercial fridge is an essential piece of kit in every professional catering environment. 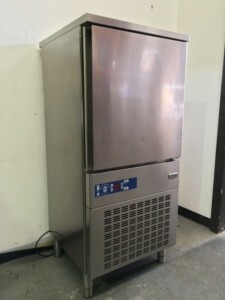 Unfortunately, buying brand-new commercial fridges is usually prohibitively expensive, thereby creating an obstacle for many restaurants of all sizes. 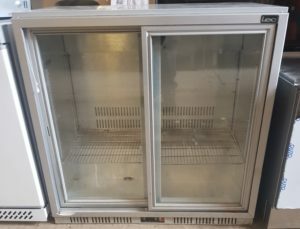 Thankfully, at Caterquip, we can provide a solution to this common problem in the form of our second-hand, refurbished and used refrigerators. 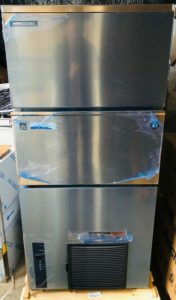 Why Buy A Second Hand Commercial Fridge Or Fridge Freezer From Caterquip? 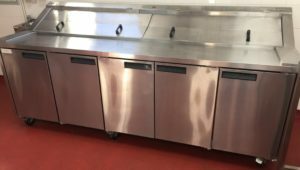 At Caterquip, we are specialists in supplying high-quality second hand, reconditioned, refurbished and used catering equipment. For the peace of mind of our customers, we offer at least a 3 month warranty on all our products, meaning that you can buy with confidence. 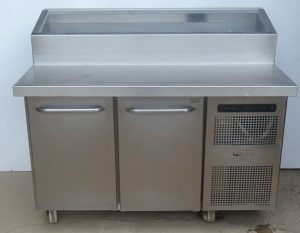 Over the course of our more than 20 years in the catering business, we’ve grown to become the largest supplier of second hand catering equipment in the UK, having generated many hundreds of satisfied customers along the way. 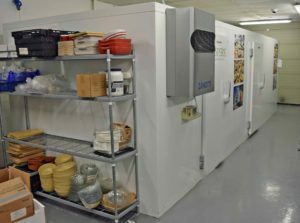 We’ve worked with everyone from household name fast-food restaurants, to holiday resorts, TV chefs, fine dining establishments and many more! 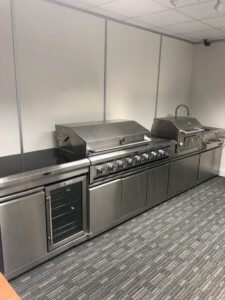 You can therefore be assured that we are experienced and highly knowledgeable professionals who are qualified to handle whatever catering project you have in mind. Still not convinced? Check out some of the testimonials from our previous customers below. You can also see more here. Dear Paul & Dominic Just a quick note to say thank you for your excellent service. Rob Meylan – Royal Beacon hotel, Exmouth. 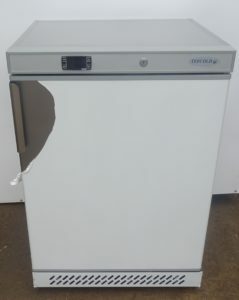 I recently purchased a dishwasher from Caterquip and I have to say the service that I received was second to none. The advice and help I received was excellent and the delivery and follow up was faultless and pleasingly swift. A pleasure doing business with them and Caterquip will be my first port of call for any catering equipment and my general requirements. 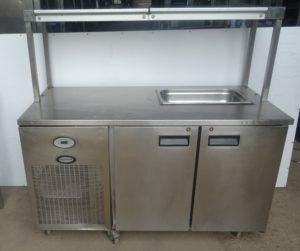 I run a fine dining catering business and my entire kitchen is now fitted with reconditioned equipment. 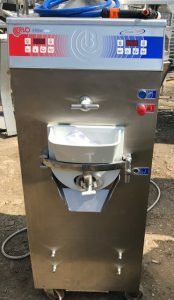 The best advantage a new enterprise could ever have is the ability to save money sensibly whilst getting the right equipment to get things started. 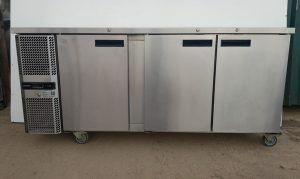 Caterquip UK understood my plight straight away and supplied me with upright fridges, racking, prep tables, a combi oven and a gas range within a week of calling and gave me a peace of mind solution. I would highly recommend Caterquip to both a start up entrepreneur or established professional operation. The whole thing was made easy and their follow up customer care has been swift and thorough. Paul – Cooking At Yours, Lincolnshire. With our 800,000 visitors a year to the Showground, catering is an important revenue stream. We have built up a good relationship with Caterquip over the last 4 years and are impressed with the quality and reliability of equipment and service provided. Alan, FHCIMA FBII, General Manager – East of England Showground.